This machine is truly a price break through. 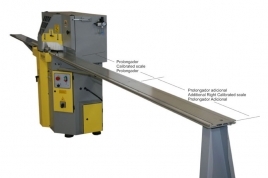 At a framingsupplies.com normal price of $11,210, there is nothing that comes close to this precision machine! Other machines with similar options would be priced over $17,000! 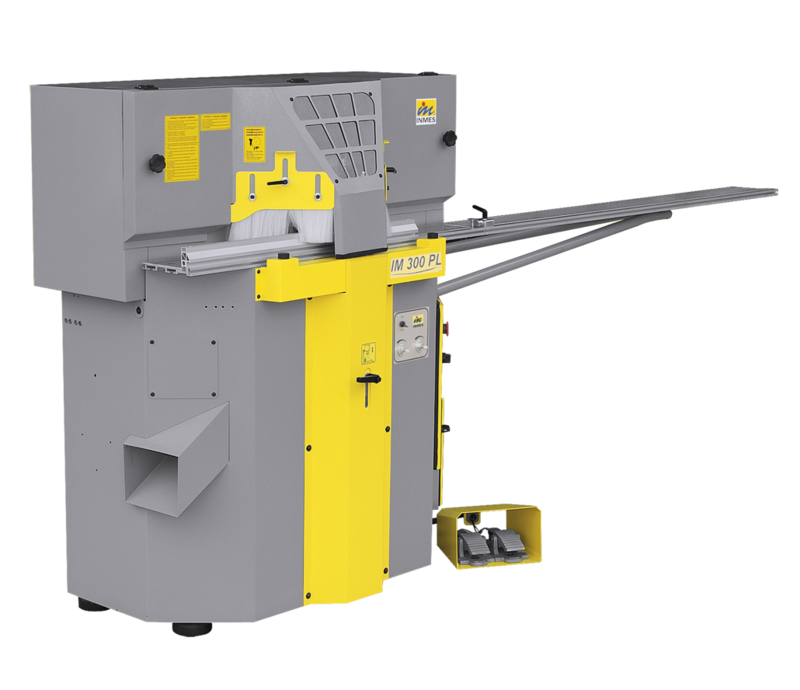 Developed by INMES, the IM-300PL slices with absolute precision, giving a perfect 45 degree mitered piece in both wide and narrow profiles. 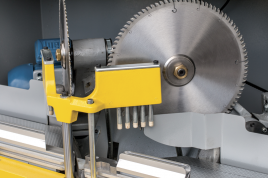 By choosing the proper blade, you may cut raw and finished wood, plastic, or aluminum. 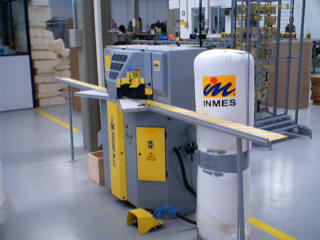 The pneumatic hold down clamps were especially developed by INMES to be used on the IM-300PL, for best quality cuts and greater safety to the operator during the descent of the blade. 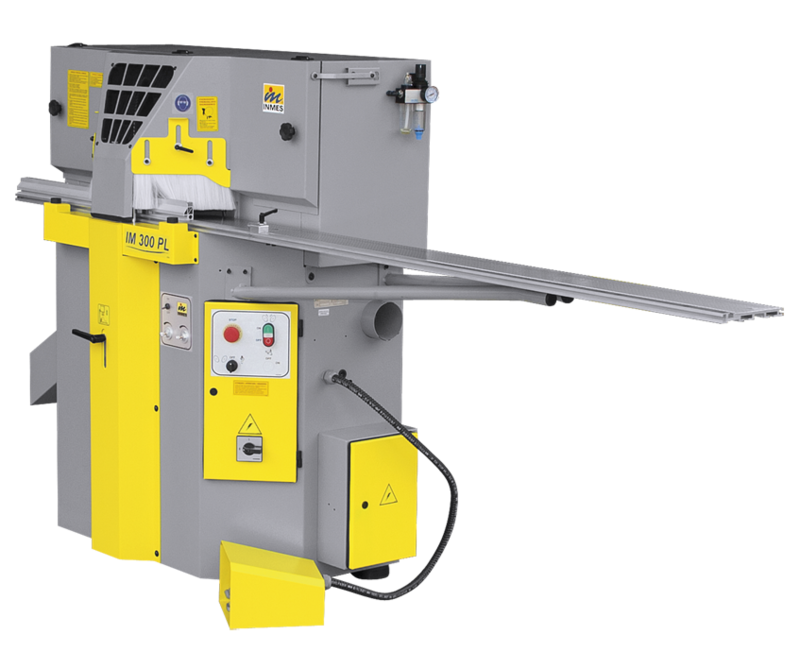 When the blades are activated the hold down immediately secures the profile against the fence, and in that way eliminates the needs for the operator to place his hands near the blades. 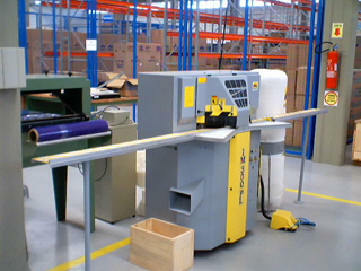 Optional Right Extension Table is included with this saw! p to 115" (2946 mm) in length. 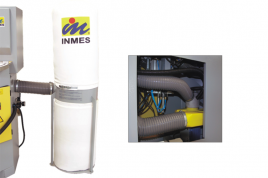 The IM-300PL is equipped with an efficient dust collector with filter. The dust collector being positioned inside the machine and the filter on the outsite. 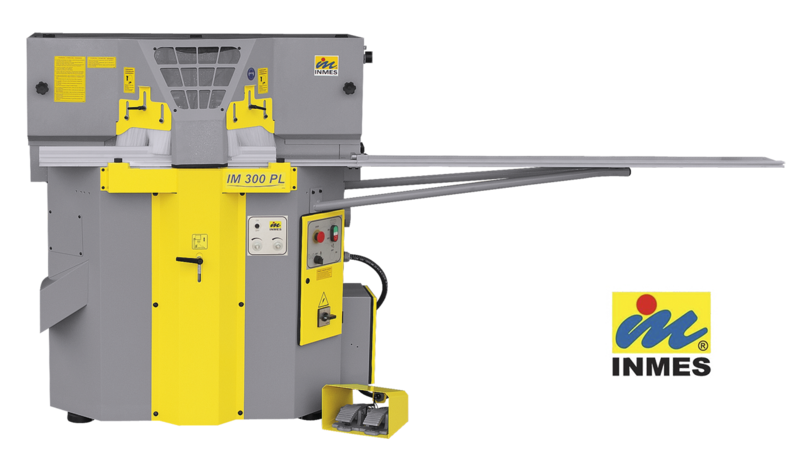 This will assure less space is occupied by the machine and more efficiency when collecting the dust.